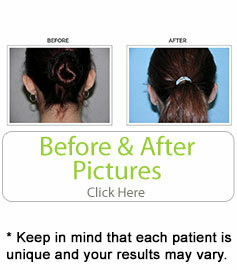 Otoplasty, also known as ear pinning, is a surgery that is done to change the way the outer ear looks. The outer ear, also known as the pinna, is not very important for hearing. It plays a very minor role in how a person hears, but it plays a major role in how a person looks. When people have misshapen ears, it can be seriously debilitating to their self-esteem and mental state. When this happens, it is extremely beneficial for them to undergo an otoplasty procedure to correct the defects of their ears. There are many reasons that a person’s ears do not appear to be normal. Sometimes people have ears that simply stick out at too much of an angle from their heads. This is usually causes by genetics. The ears may also be misshapen due to either too much or too little cartilage in the folds of the ears. Of course, ears can also be injured, which can make them appear deformed. All of these causes can be treated with a simple otoplasty procedure. Approximately 20 to 30 percent of babies are born with misshapen ears. This is a shockingly high number, but luckily most of them have their ears self-correct the deformity within a matter of weeks. For those whose deformities remain, they will have to live with them for several years. An otoplasty cannot be performed until the ears are fully grown, which typically does not happen until a child reaches five years of age. When the otoplasty is performed, it can take the shape of three different types of procedures. There is ear augmentation, which is performed when the pinna is underdeveloped. There is also ear reduction, which is performed when the pinna is overdeveloped. The final type of otoplasty is otopexy, which is the actual ear pinning technique in which ears that protrude at a sharp angle are flattened. During the procedure, children are generally put to sleep under general anesthesia. However, adults are generally given a local anesthetic to numb the pain as well as an IV anesthetic that keeps them relaxed. Adults are generally not put to sleep under a general anesthetic during an otoplasty procedure. Doctors make the incision behind the ear, which means that the scar from the surgery will not be very noticeable. The surgery generally lasts an hour or two. After the surgery is completed, patients have to wear bandages covering their ears for several days. Once the bandages are removed, then the patient will need to wear a protective headband at night that keeps the ears from experiencing tension when the patient moves around in their sleep. Patients can resume their normal routines usually a week or so after an otoplasty. However, they are usually restricted from swimming for eight weeks following the procedure to prevent infection. Also, physical contact sports like football and basketball need to be avoided for three months to avoid exposing the tender ears to trauma.